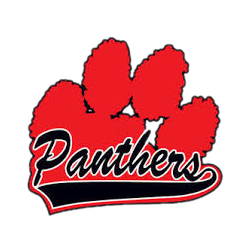 Please support your Knightstown Football Panthers! Get your GameDay gear before the season starts! Team store will close June 4th! 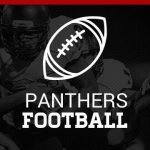 Please use the link below for the team store: Football Team Store See Coach Miller for questions. Multiple Teams · May 10 Pursley signs with Trine! Congratulations to Thomas Pursley, for signing with Trine University today. 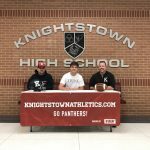 Thomas will continue his educational and football career with the Thunder! Congratulations, Thomas! 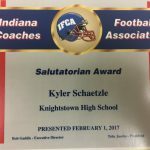 Multiple Teams · Feb 2 Kyler Schaetzle earns IFCA Salutatorian Award! 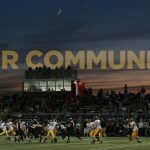 Panther football Senior Kyler Schaetzle has recently been awarded the Salutatorian Award from the Indiana Football Coaches Association. Kyler was awarded this honor, for his grades, as of February 1st, 2017. Congratulation, Kyler! Well deserved.